At Next Level Massage Education, our mission is to further develop you as a massage therapists in your knowledge of anatomy, active body movement assessment, and the development of new techniques. This knowledge will create a more advanced and unique bodywork session for your clients. Next Level Massage Education believes mastering your practice with solid body mechanics and businesses development will lead to a loyal clientele base for the professional massage therapist. It is our goal to help you get to that next level. John Sanders began his massage practice 21 years ago in Reno, Nevada. He relocated his massage practice to Arizona in 2001, and establishing Mind, Body, and Balance, Massage by John a year later. His many years in the industry has allowed him much diversity. He is certified in Advanced Sports Massage, Medical Massage, and Thai Massage. He maintains a diverse clientele with his private practice, which includes working with professional and amateur athletes of various sports, ranging from soccer to triathlons. John has published articles for the massage industry and is an active community volunteer for charitable events, including organizing many volunteer massage services at charity/sporting events for massage students. As an instructor for Arizona School of Massage Therapy, in Tempe, Arizona for the past 11 years, John has helped influence and shape the minds of future massage therapists. His dynamic and captivating instruction in the classroom allows him to teach his passions of Business Development, Sports Massage and Therapeutic touch. John’s newest pursuit, Next Level Massage Education, will bring to the massage industry an opportunity for massage therapists to increase their knowledge of massage techniques and professionalism. Next Level Massage Education will educate the massage therapist with Advanced Sports Massage, therapeutic massage techniques, and, help hone professional development. During the course of his 21 years in the massage industry, John has developed this unique gift of therapeutic touch. He wishes to share this knowledge with you, to help you advance to your next level. Robin Wooten is a Nationally Certified LMT, certified in Neuromuscular Therapy, Fascial Stretch Therapy, Corrective Exercise Specialist with National Academy of Sport Medicine, and is pursuing certification in Russian/Advanced Sports Massage. She is the owner of Arizona Mobility Plus, LLC, a successful massage company in Mesa, Arizona since 2011. 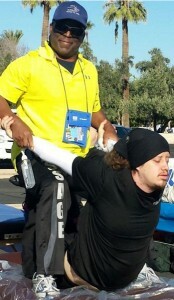 Robin maintains a clientele base of athletes ranging from professional to age group competitors. She is a professional massage therapist for a running organization which hosts marathon events across the United States and, also, works as a massage therapist for a coast-to-coast bicycle touring organization. 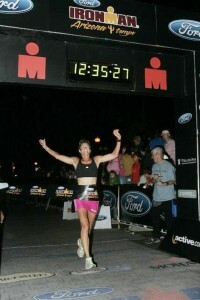 A 10-year endurance athlete, Robin has competed in three Ironman competitions, is a Boston Marathon qualifier, has completed 42 half marathons, numerous triathlons, and continues to be a competitor in endurance competitions. A teacher’s assistant at Arizona School of Massage Therapy, she instructs Sports Massage, Russian Sports Massage and Anatomy. 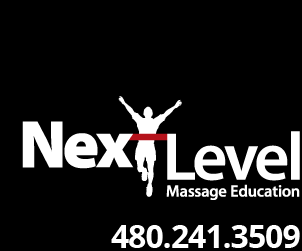 Robin has teamed up with Next Level Massage Education to instruct massage therapists to help them achieve their next level.